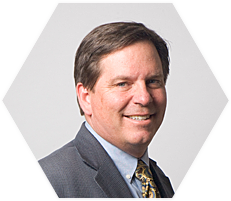 Dr. Wertz graduated from the University of Colorado, Boulder in 1978 with a double major in Molecular and Cellular Biology and Business Finance. His medical degree was earned at Case Western Reserve University in 1982. He did an internship in General Surgery at The University of Vermont in 1982-1983. He did his orthopedic surgery training at the University of Vermont from 1983- 1987. Dr. Wertz has recently been board recertified by the American Board of orthopedic surgery in 2009. He is a member of the Academy of Orthopedic Surgeons (AAOS). Dr. Wertz has subspecialty interests in adult reconstructive surgery and has performed over 1000 total joints of the hip, knee and shoulder. He has been a presenter/moderator at the Academy of Orthopedic Surgery (AAOS) annual meetings and has been an instructor for total joint implantation at the Academy meeting (AAOS). His other subspecialty interests include sports medicine and hand surgery. Dr. Wertz has been an orthopedic consultant at the University of Colorado and continues to see many university students. He is an instructor for custom knee arthroplasty. He continues to take orthopedic trauma call at Boulder Community Hospital and Centura Avista Adventist Hospital. Dr. Wertz is an avid sports enthusiast having competed in skiing, tennis, football, and wrestling. When not performing orthopedic surgery, he continues to pursue skiing, tennis, biking, running and fishing. Boulder Bone and Joint accepts most major insurance plans such as AARP, Aetna, Anthem BlueCross BlueShield, Ameriben, Assurant, Cigna, Confinity, Great West, Humana, Medicare, United Healthcare, Secure Horizon, Tricare, and Worker's Comp. Please check with your individual plan to see if we are in-network and/or require a referral to see our doctors.